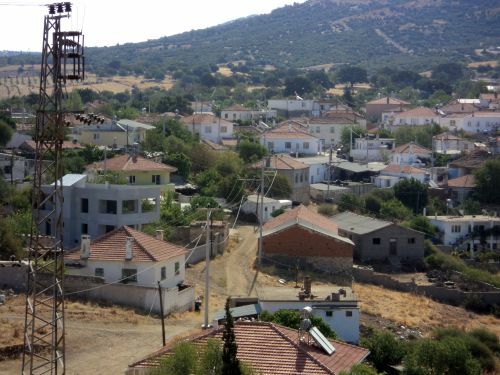 The old name of this village is Larissa. Later this was changed to Tavuklu and subsequently its current name of Tavakli. Canakkale is 74 km away from Tavakli and Ezine is just 24 km away. 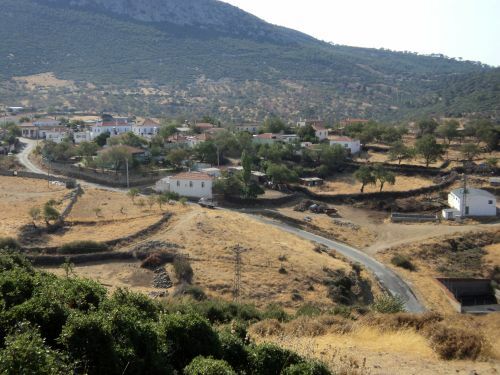 The location of this village is between the edge of the Sakar Mountain and 3km inland of the Agean Sea. It has a height above sea level of 200 metres. 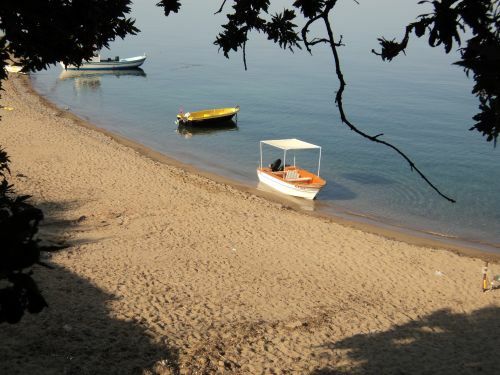 The beach area is called Tavakli Iskelesi. 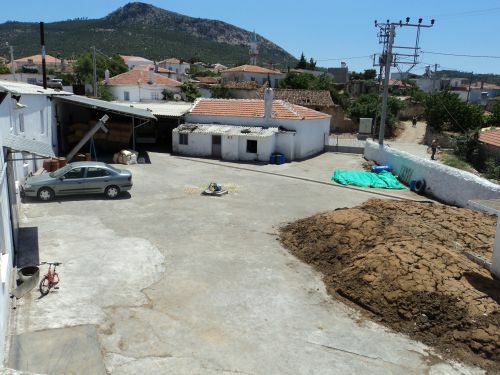 At the present time there is no port here but in the past they used to export oak acorns from Tavakli Iskelesi. Along the beach are several guest houses, a few hotels and some restaurants. For more photos of Tavakli Iskelesi click here. The weather is mainly a temperate climate and far more comfortable than that of the south coast where it can get uncomfortably hot in peak season. The latest census population figures for the year 2000 show 607 residents. Agriculture is the main economy of the area. Oak acorn had been used in paint production for a long time but this has now ceased due to the introduction of synthetic paints. There are now only two acorn storage places left. After acorn production the main agricultural emphasis switched to olive oil production. 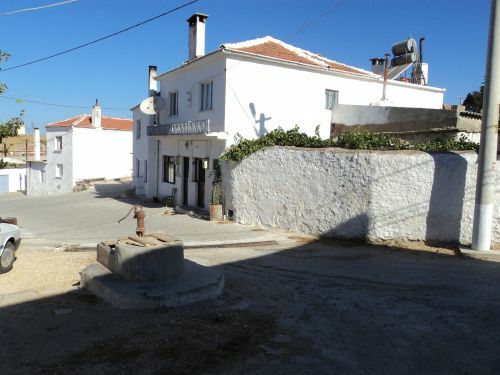 Most of the land in and around the village is not level and is suitable for the growing of olive trees. The olive oil production factories provide a good seasonal income resource for the young people in the village. Researchers into olive oil production have established that this is one of the best quality of olives for the purposes of olive oil production. Within the village there are four separate olive oil production factories where the olives are picked and processed all in the same day. 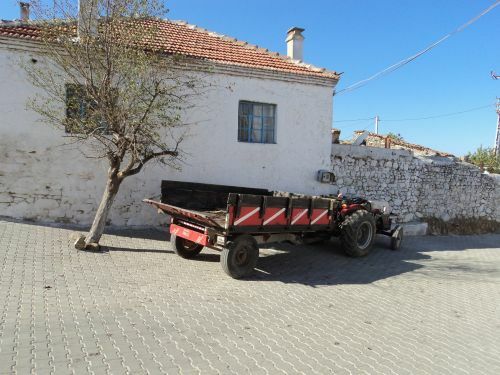 In the flat surrounding areas of Tavakli the main agricultural produce is that of fruit such as apricot, plumbs, pears, apples, peaches, honeydew melon, water melon, tomatoes and for vegetables cauliflower, peppers, beans, wheat, broad beans and chic peas. There are also almond trees which do not contribute much financially but do add to the greenery of the area. Once upon a time there were vineyards here. A few families still produce grapes for the purposes of wine production. There is also cattle, sheep and goat farming but if you compare this with other villages in and around Ezine this is small by comparison. Although there is a sea shore nearby there is no port or pier for fishing boats. As a result there is not a great deal of fishing here in terms of industry. If you compare Tavakli with other villages, it is financially in a good position. It has the capacity of a small municipality. telephone lines and internet access. There is an internet cafe in the village. You can see many more photos of Tavakli village by clicking here. 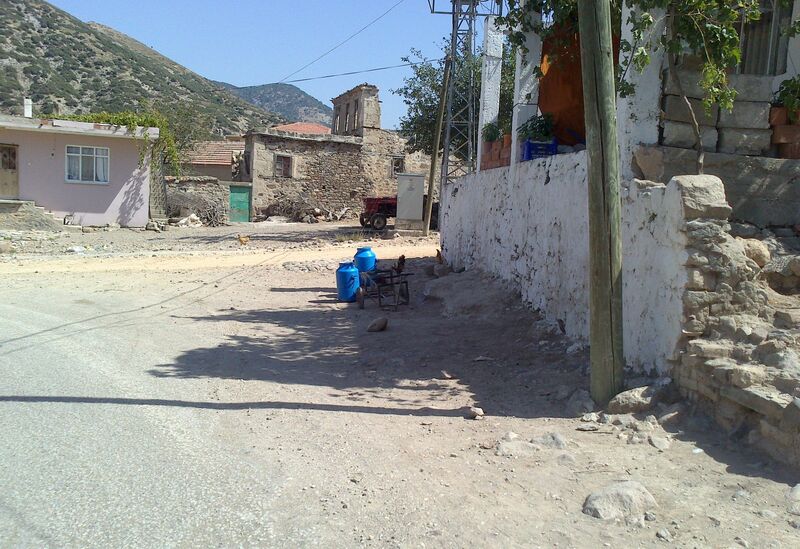 The village head ( Muhtar ) is Mehmet Karabulut. known but has not been excavated yet so consequently there is nothing to see. 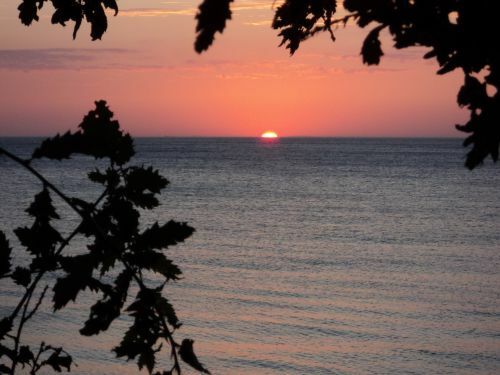 This delightful collection of bungalows set in their own gardens and right by the sea provides visitors with everything they need for a comfortable holiday. For more details contact English speaking Mr Halil Ören on 0536 326 56 26. Over the past 5 years we have rented quite a few cars from Istanbul Ataturk Airport. If car hire could be made to be complicated and difficult then you could hold Istanbul up as the model example for having achieved this goal. We hire between 3-4 cars a year through Istanbul Airport. The results have been a mixed and varied assortment of disappointing experiences. The professionalism and reliability of local firms leaves something to be desired. After 5 long years of hoping to find a better experience we have come to the conclusion that you are better off sticking with the big brand names rather than trying to find cheap car hire online. Most of the online car rental sites are just brokers. They pass their bookings onto the likes of local firms like Circular Car Hire and Essence so in actual fact you think you are dealing with a branded company but you are actually dealing with a booking agent and the hit and miss service that often comes with a local provider. 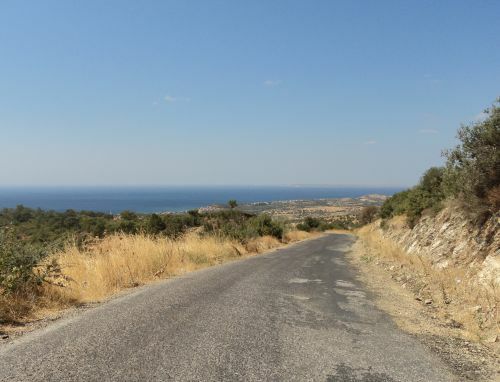 We have used Economy Car Hire, Economy Rentals, Cizgi Car Hire and a host of Online Bookings through Travel Up, Expedia and Car Trawler which inevitably almost always put you at the mercy of a local small operator. There are many pitfalls to booking online. The Online sites claim to provide full insurance but the first thing that the car rental company does is to try and sell you additional insurance to cover the windscreen, tyres and undercarriage of the vehicle. They then add the HGS or OGS Highway Toll at anywhere from 10 to 30 Euros and leave you with a car with no fuel in it. Local agents are only interested in taking your cash. There is no going through the controls of the vehicle and explaining how things work. You should also check your car very carefully for damages as anything not listed on the original hire documents paperwork could result in you having to pay damages when you return the vehicle. Perhaps the most frustrating element of hiring a car in Istanbul is that you are promised to be met by a company rep of the car company your car hire has been placed with. They are hardly ever present waiting for you. Ultimately it is up to you to contact them from the number you were given with your booking form. Not a great start when you arrive tired off a flight and then have to make contact yourself to actually acquire your vehicle. To top it all they will expect you to pay for the car park charges for the vehicle having been brought to you. We have heard every excuse there is to hear about why we have not been met. We have been fobbed off with sub standard vehicles and cars that varied considerably from what our booking specified. Chasing a cheap rental price will ultimately end in tears and frustration. It really isn’t worth it. Our very last trip via online booking was through Travel Up via Car Trawler but with a local operator. The price was good. We were promised a Fiesta or similar vehicle with full insurance and the confirmation that we would be met at the airport. What followed was comical. The car company Rental Provider was Essence. The meet and greet did not take place. We phoned the company. They struggled to find our booking and then promised to deliver the car asap. Half an hour later they turned up with a battered Fiat Punto with a cracked windscreen. We started to go through the paperwork. The rep could not process our credit card for the deposit or the rental fee. He would not take cash and the deal was terminated there and then. Such unprofessional behavior is the norm here in Istanbul. I went back into the main terminal and approached Rent Go who have an agency in the main hall. They promptly produced a new Ford Fiesta for £19 a day with full insurance. Really! Was it worth all the stress to get a car 25% cheaper online. Nope. Not at all. The stupidity of the whole situation is that I used the same card that the other rental company had declined and it worked fine with Rent Go. Seriously. Do yourself a favour and go with a decent Car Rental Company. Life really is too short. 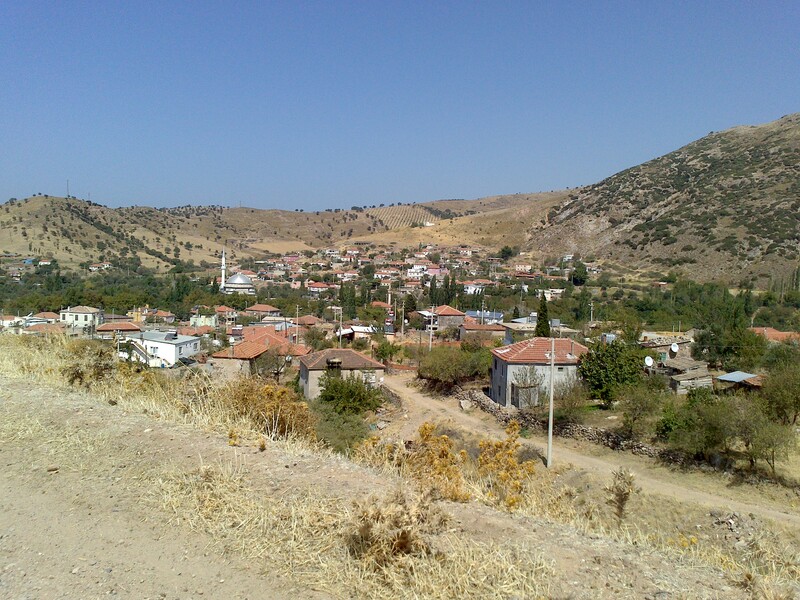 Kösedere village is approximately 35 km from Ezine and one of the closest villages to Tavakli. In fact, with a population of around 1,200 it is the largest village in the area. The village income is derived mainly from agriculture and particularly vegetable produce. 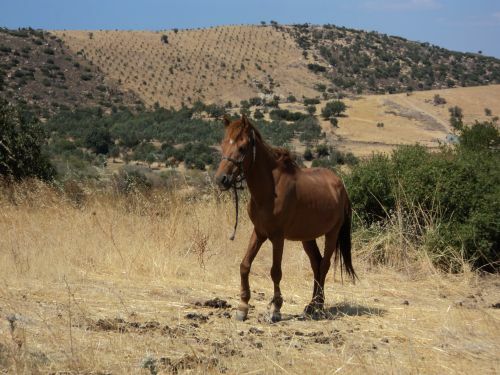 Livestock such as sheep and goats and olive oil production is also a valuable source of income for the village. 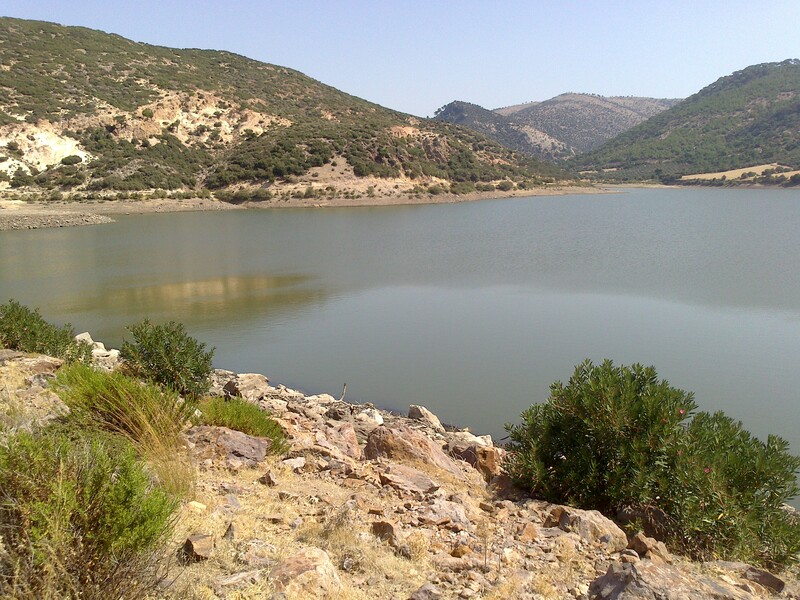 Situated near the Aegean coast there is also a large fresh water reservoir near the village of Kösedere.